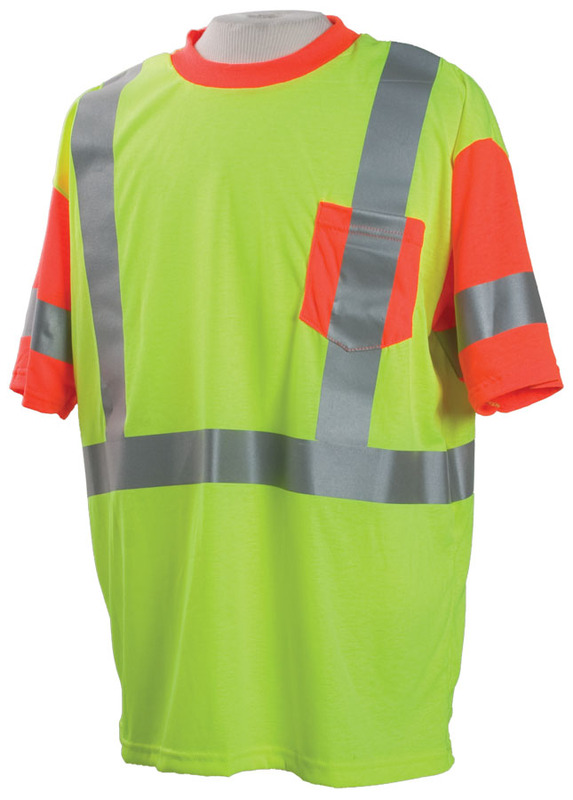 ANSI / ISEA 107­2010 ­ Class 3 , 100% polyester moisture wicking Jersey Knit, lime / yellow with red / orange neck, sleeves, and pocket. 8725 3M™ Scotchlite™ Reflective Material is certified for 50 home washings. Trim pattern is 2-­inch wide horizontal band 360 degrees around waist and on both sleeves with a 2­-inch wide band harness over each shoulder (smaller sizes may add an additional trim to meet Class 3 requirement). 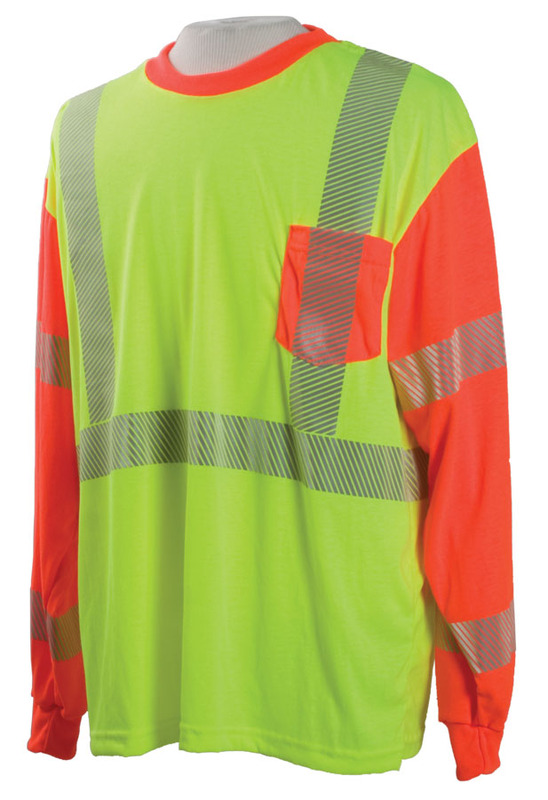 ANSI / ISEA 107­2010 ­ Class 3, 100% polyester moisture wicking Jersey Knit, lime / yellow with red / orange neck, sleeves, and pocket. 5510 3M™ Scotchlite™ Reflective Material Comfort Trim is certified for 75 home washings. Trim pattern is 2-­inch wide horizontal band 360 degrees around waist and on both sleeves with a 2-­inch wide band harness over each shoulder (smaller sizes may add an additional trim to meet Class 3 requirement).